CHESTER — Leif Nilsson hosts another Concert in the Garden on Sunday, April 17, from 4 to 6 p.m. This time the Meadows Brothers will be featured at the Spring Street Studio and Gallery at 1 Spring St., Chester Center. 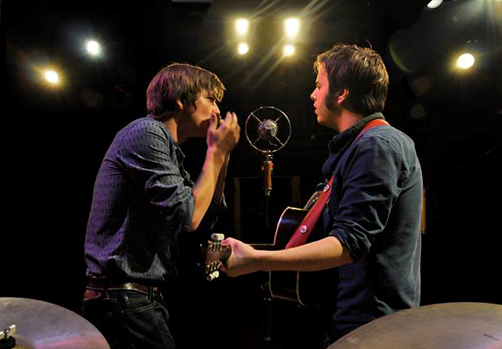 The brothers’ original songs, which they typically write together, have been praised for their emotive, relatable lyrics and memorable hooks. Several of their tunes have won awards and have been covered by international acts. Gates open a half hour before the show; first come first seated. Outside bistro-style seating in the amphitheater; inside the gallery if inclement weather. Sorry, no pets are allowed. A $20 donation is appreciated. The event is BYOB – buy your own wine or beer at the Chester Package Store across the street, which is open until 3 p.m.
OLD SAYBROOK — The first ‘Summer Sing of the season’ will feature Barry Asch of Cappella Cantorum directing Mozart’s “Requiem” on Monday, June 13, at St. Paul Lutheran Church, 56 Great Hammock Road, Old Saybrook. The event, which features professional soloists, is co-sponsored by two shoreline choral groups, Cappella Cantorum and Con Brio. All singers are welcome to perform in this read-through of a great choral work. Registration is at 7 p.m.; the sing begins at 7:30. An $8 fee covers the costs of the event. Scores will be available, bring yours if you have it. The church is air-conditioned. For more information, call (860) 388-4110 or (860) 434-9135 or visit www.cappellacantorum.org or www.conbrio.org. OLD SAYBROOK – The Town of Old Saybrook is seeking proposals from a team of qualified consultants to further refine plans for Mariner’s Way that will lead to successful redevelopment of this area that encompasses multiple brownfields. This team of consultants should have demonstrated experience in similar planning activities that successfully revitalized an area of a community blighted by brownfields. Site Reuse/Redevelopment and Façade Improvement Plan. All elements will include public input from informational meetings and charrettes. The Town expects the results to yield a final report that refines the concepts established in the Mariner’s Way Plan and outlines specific steps to move the plan forward. Funding for this project is provided by the Connecticut Department of Economic and Community Development (DECD). 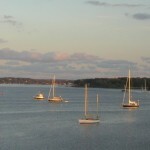 The RFP is available on the Town’s website at www.oldsaybrookct.gov. Printed copies of the RFP are available at the Land Use Dept., 302 Main St., Old Saybrook, CT, 06475. The deadline to submit completed proposals is 3 p.m., Thursday, May 12, 2016. AN AFFIRMATIVE ACTION/EQUAL OPPORTUNITY EMPLOYER: The Town of Old Saybrook encourages Minority/Women/Small Business Enterprises to respond to the Request for Proposals. This was a multi-generational presentation where several granddaughters modeled gowns of their grandmothers or mothers, along with other models. Several vintage gowns that dated back to the 1800s were also on display. A slide presentation and raffle were also part of the sold-out event. 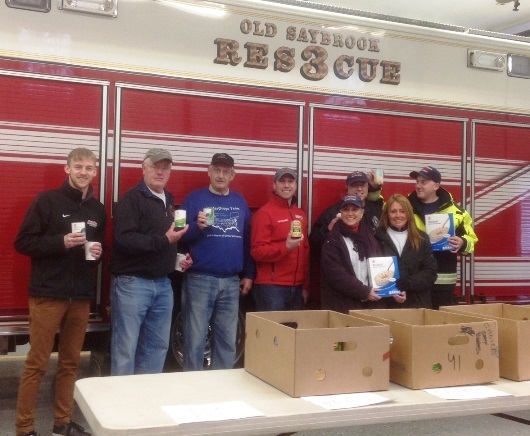 AREAWIDE – The Shoreline Soup Kitchens & Pantries’ 5th Annual Firehouse Food Drive took place on Saturday, April 2, amid often torrential downpours of rain. Despite the wet conditions, with the generosity of the community and many determined volunteers, close to 4,000 pounds of food was collected for local residents in need. Generous supporters also donated over $850, which will provide enough food for more than 2,000 meals. The five fire stations taking part this year included Old Saybrook, Westbrook, Essex, Chester and Clinton. Firefighter Max Sabrin, with the Old Saybrook FD, helped to bring together members of the media, including radio sponsors Full Power Radio, Miss L from Jammin’ 107.7FM, and News Now 94.9FM; and media coverage from NEWS 8 WTNH and NBC CT News. Gil Simmons, Chief Meteorologist at NEWS 8, WTNH, visited the OSFD headquarters to lend a hand and help spread the word about the food drive. In addition, the Old Saybrook Stop & Shop, Clinton Stop & Shop and Old Saybrook Big Y offered donation areas, manned by firehouse and community volunteers. Spring is traditionally a challenging time for area food pantries, as there are traditionally fewer food drives. This collection of much needed food and funds will help to fill the shelves at SSKP’s pantries. 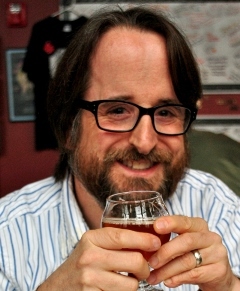 ESSEX – Will Siss has been writing the “Beer Snob” column for the Waterbury Republican-American since 2005. In 2015 he published the book, “Connecticut Beer: A History of Nutmeg State Brewing,” a profile of the beer breweries in Connecticut, including profiles of the brewers, pubs and restaurants that focus on craft brews. On Saturday, June 11, at 4 p.m. in the Essex Library, Siss will present an illustrated talk on the current craft beers being produced in Connecticut and will conduct a beer tasting with attendees afterwards. Siss earned a BA in English from Gettysburg College and an MS from the Columbia School of Journalism. This event is free and open to the public (21 years and over) but seating is limited. Please call the Essex Library at 860-767-1560 to register and for more information. The Essex Library is located at 33 West Ave. in Essex. 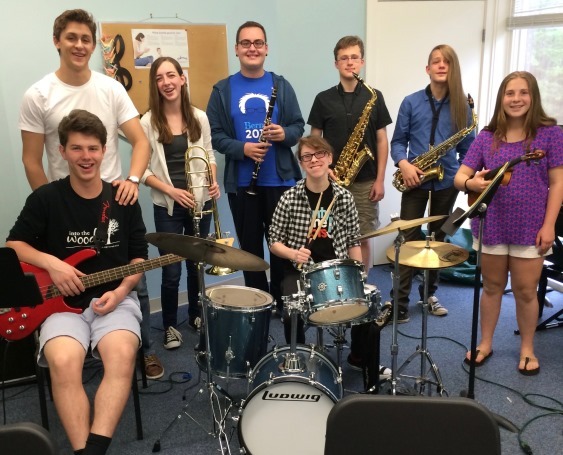 CENTERBROOK – Community Music School will present a concert by the CMS Jazz Ensemble under the direction of Tom Briggs on Saturday, June 11, at 7:30 pm at the Centerbrook Meetinghouse, 51 Main Street, Centerbrook. The ensemble, comprised of students ages 12 to 17, will perform a mixed repertoire of blues, traditional jazz standards, swing, Latin jazz and one new original song. The concert will feature group ensemble performance with an emphasis on improvisation. The concert is free and open to the public. Please call 860-767-0026 for additional information. ESSEX – On Saturday, June 11, at 1 p.m. Wesleyan Government Professor Sarah Wiliarty will give a talk on women in politics, thus helping to put Hillary Clinton’s campaigns for the presidency into some perspective, both internationally and historically. Being related to a male political leader is actually an exceptionally common way for women to gain executive office in many other places. Wiliarty will also talk about what conditions tend to facilitate or hinder women gaining office more generally. 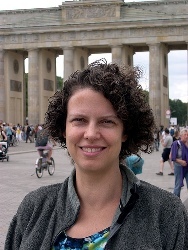 Sarah Wiliarty received her Ph.D. in Political Science from the University of California, Berkeley and a B.A. in Physics from Harvard University. Her book, The CDU and the Politics of Gender in Germany: Bringing Women to the Party, was published by Cambridge University Press in 2010. This program is free and open to all. Call the library to register in advance: (860) 767-1560. The library is located at 33 West Avenue in Essex. Connecticut River Museum Board of Trustees Chair Joanne Masin, Sen. Art Linares and Connecticut River Museum Trustee Eileen Angelini. 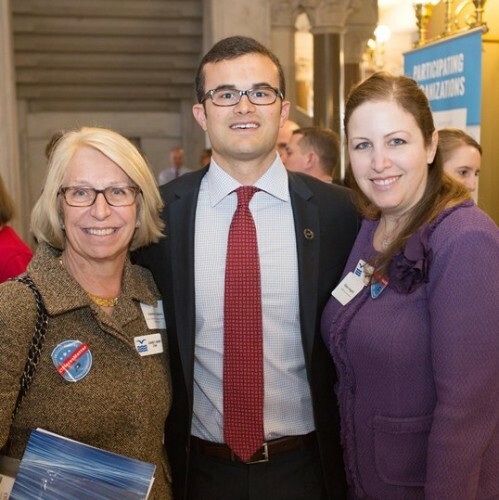 ESSEX – Historical societies and preservationists from across the state gathered at the State Capitol last month to raise awareness about their organizations’ dedication to promoting Connecticut’s heritage for present and future generations. The Connecticut River Museum (www.ctrivermuseum.org) was among the groups that travelled to Hartford to speak with Sen. Art Linares (www.senatorlinares.com) and other state lawmakers. 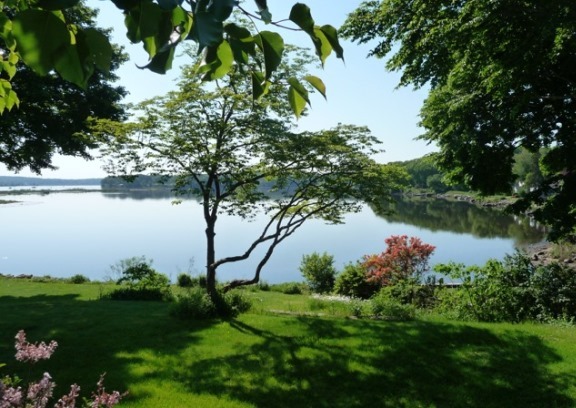 The museum’s mission is to lead in the study, preservation and celebration of the cultural and natural heritage of the Connecticut River and its valley. By deepening understanding of the river’s importance to past generations, the museum aims to inspire the stewardship of future generations. The museum maintains its National Registered buildings on Steamboat Dock in Essex, and provides a spectacular waterfront park as a venue for museum functions, community events and quiet reflection. ESSEX – Do you want to increase your energy, lose weight, charge up your immune system and improve your overall health? Have you been trying to improve your diet, decrease your sugar intake and lose weight, but have a hard time sticking with it and staying motivated? Dr. Dana Krete will lead a four-week group detox program at the Essex Wellness Center starting April 16. With this program you will be guided, motivated and supported through the detox program that includes a two-week detox that’s both safe and effective, and will leave you feeling re-energized for spring and on track to reach your goals. You will be using a high-quality, hypoallergenic, user-friendly program that includes two shakes per day, supplements twice per day, and a “clean” meal plus healthy snacks. 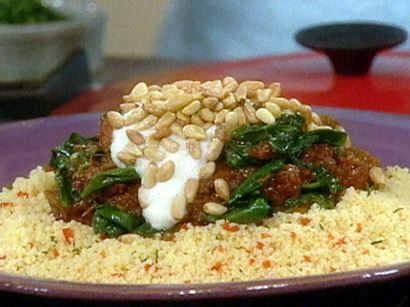 Meals and snacks will be prepared by you, so they are made of fresh, wholesome ingredients. This means this is not a product-heavy program, but one that uses mostly real food. Dr. Krete will guide you through this process, so you know what foods to eliminate and what foods to include. Dr. Krete will lead a group talk once per week for four weeks for about an hour to inform you of the process, and so participants can support each other through the process. Dr. Dana Krete earned her Doctorate of Naturopathic Medicine and Master of Acupuncture at National College of Natural Medicine in Portland, Oregon. Registration with payment in advance is required. The total cost of the program, including the detox kit and all meetings led by Dr. Krete, is $279. More information at www.EssexWellnessCtr.com or call Essex Wellness Center at (860) 767-7770. ESSEX – Philip Scheffler, CBS News’ first television street reporter, a documentary producer and the executive editor at 60 Minutes for many years, died April 7, 2016, in New York Presbyterian – Cornell Weill Medical Center. He was 85 and lived in Manhattan. Until recently he also spent much of his time in Essex, Conn., where he had a home for 40 years. 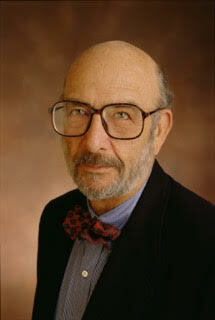 Scheffler was a reporter and producer for CBS News for the first half of his five-decade career. He became the senior producer at 60 Minutes in 1980, handling the day-to-day responsibilities – essentially the right hand of the broadcast’s executive producer Don Hewitt. Hewitt named him executive editor later. In this capacity, Scheffler had a direct hand in producing every 60 Minutes report broadcast from 1980 to 2003 – a period during which 60 Minutes was the number-one program in America five times. Scheffler oversaw the reporting from the field and handled most of the producers’ journalistic issues, enabling Hewitt to focus almost exclusively on shaping the newsmagazine’s stories. When tempers flared in the screening room between Hewitt and one of his correspondents, such as Mike Wallace or Morley Safer, it was the professorial Scheffler, sporting a bow tie and close-cropped beard, who played referee. Before his senior positions, Scheffler produced 60 Minutes stories over nine seasons for Wallace, Safer, Harry Reasoner and Dan Rather. His first story with Safer was “After Attica,” a look inside a maximum security prison in Colorado broadcast after the horrible riots in the New York prison in 1971. Hewitt hired him in March of 1951 as a copy boy for “Douglas Edwards with the News,” which Hewitt directed and produced. Debuting in May 1948, that broadcast was the first network television news program, and in 1951, Scheffler became its first street reporter. His first field assignment was to ask people whether they thought Gen. Dwight Eisenhower should enter politics and run for the Republican presidential nomination. But reporting was only one of the hats worn by early television news people like Scheffler. Out of necessity, he also invented a makeshift news teleprompter. Hewitt wanted his anchor, Edwards, to look at the camera instead of his script when reading the news, so he had Scheffler make cue cards. “My first job at CBS Television News,” recalls Scheffler, “was to hand print Douglas Edwards’ copy on two-by-three-foot cue cards. Then, when we were on the air, I would hold them up next to the camera lens and move them up a line at a time for Doug to read. My arms were always tired and sore, so I asked Don if the camera could move in closer. He put on a wide-angle lens and moved the camera to within 10 feet of Doug, and I started typing the copy using wide adding-machine paper and a huge-type typewriter. It was the first crude teleprompter, but I didn’t have the wit to develop it!” said Scheffler in 2001. In 1953, Scheffler was drafted into the Army and served his two years. During this period, he convinced his superior officer that he could put the Army on television — as long as he could get a few weekends off to film the piece! The result was a feature series in weekly installments he helped produce and write for CBS in which a Korean War recruit was followed through basic training at New Jersey’s Fort Dix. Scheffler returned to CBS and continued working as writer, reporter and producer for the nightly network news and other regularly scheduled CBS News programs through the 1950s. The news program, “Eyewitness,” was Scheffler’s next stop, where he served as associate producer and on-air reporter for the half-hour weekly from 1960 to 1963. He briefly served as an associate producer on “The CBS Evening News with Walter Cronkite,” where he covered the Kennedy assassination, before joining the documentary unit in 1964. There, Scheffler became a producer of documentary and special news broadcasts, including “CBS Special Reports” and “CBS Reports.” He produced more than 100 of them, including: “After 10 Years: The Court and the Schools” (1964), on school integration; “CBS REPORTS: Robert F. Kennedy” (1967), on Sen. Kennedy and his political ambitions; and “The Cities” (1968), about the nation’s urban crisis. Scheffler’s assignments took him to 47 states and to 50 foreign countries, including Vietnam. He traveled there for six assignments during the war; his output included three two-hour specials on American policy in Southeast Asia, “Where We Stand in Vietnam” (1967), “Where We Stand in Indochina” (1970), and “The Changing War in Indochina” (1971). CBS News broadcasts that Scheffler worked on, especially 60 Minutes, have received the industry’s highest recognition, including the Peabody, DuPont and Emmy awards. In 1981, he received the Alumni Award for distinguished contributions to journalism from the Columbia University Graduate School of Journalism, from which he received a master’s degree. As an adjunct professor, he once taught classes there as well. Scheffler was born Sept. 16, 1930 in New York City and was graduated from the City College of New York. He is survived by his wife, Dr. Linda Weingarten Scheffler, a clinical psychologist, author and retired professor at Hunter College in New York City; his daughter, Ramsay Klaff, of Massachusetts; and a son, Adam, of Chicago. ESSEX – On Saturday, April 9, the Town of Essex and the Essex Citizens for Clean Energy (ECCE) will host an energy fair and free LED light bulb swap for residents. The event will be held from 10 a.m. to 2 p.m. at the Essex Town Hall. Essex residents, with identification, may bring up to five incandescent or compact fluorescent bulbs (CFLs) light bulbs in any condition and exchange them for new, energy-efficient LED bulbs free of charge. (Offer is for up to 5 LED light bulbs per household while supplies last.) Other styles of LEDs and lighting products will be available for purchase at a discounted rate. A single LED bulb has a life expectancy of 23 years, uses up to 80 percent less energy, and can save homeowners as much as $10 per year versus a traditional incandescent bulb, which has about a 1.5 to 2.5 year lifespan. Energy experts from Eversource will be on-hand at the light bulb swap to answer questions and provide people with additional information on how they can save money and energy at home, including the popular in-home service, Home Energy SolutionsSM (HES). There will be an activity for children and alternative fuel cars from local dealers will be on display. The Town is using a $4,500 grant, earned through participation in Energize Connecticut’s Clean Energy Communities (CEC) program, to fund the exchange. 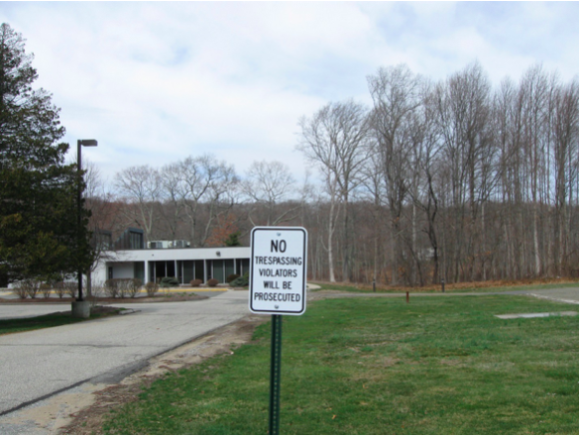 In October 2012, Essex signed the CEC pledge, committing to make efforts to reduce municipal building energy consumption by 20 percent, attain 20 percent of municipal electricity needs from renewable sources, and take other actions to support the deployment of clean energy by 2018. Residents and businesses that took advantage of Energize Connecticut energy efficiency solutions helped the community earn the grant and will reap the benefits with this LED giveaway. CHESTER — What would you do if you were given a pile of 2-inch-long carved wooden sticks to repurpose? 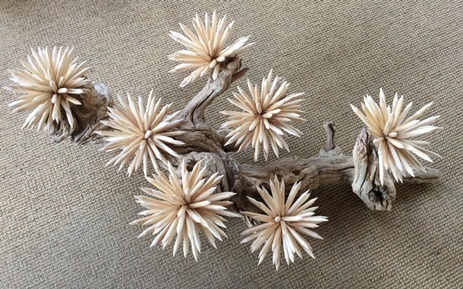 If you’re one of the area artists, sculptors, photographers, engineers, jewelers, designers (you get the picture), you’d turn those sticks into something unique and/or useful, decorative and/or functional, whimsical and/or practical. 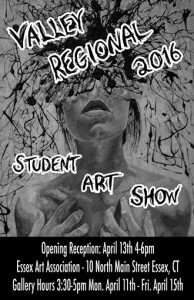 All for the Creative Challenge hosted annually by the Chester Historical Society. For this year’s Challenge on Saturday, April 9 (obviously named the Sticks Challenge), the Chester Historical Society uncovered in a local barn boxloads of short wooden manicure sticks made (probably in the 1950s) at the Bishop and Watrous Novelty Works, which used to be on Maple Street. For the past six or so years, the Chester Historical Society’s Creative Challenge has invited area artists to use artifacts from Chester’s rich manufacturing history to create items for a silent auction and reception to raise funds for the Historical Society. There have been challenges based on hooks from the Brooks Factory, knitting gauges from the C.J. Bates factory, and even rusted pieces “unearthed” from the yard of one of Chester’s earliest houses. The finished pieces of “sticks” art, jewelry, sculptures, photographs, etc. will be exhibited and sold by silent auction at the Historical Society’s Reception on Saturday, April 9 from 5:30 to 7:30 p.m., at the Chester Meeting House at 4 Liberty Street. The reception will feature hearty hors d’oeuvres and desserts from Chester kitchens served with wine and non-alcoholic beverages. Tickets for the evening are $30. They can be purchased at Chester Gallery and Lark, both in the center of Chester; by calling Sosse Baker at Chester Gallery, 860-526-9822; or at the door. All the proceeds from the event will benefit the preservation and showcasing of Chester history through the Chester Historical Society and the Chester Museum at The Mill. Information is available on the Society website, www.chesterhistoricalsociety.org or at Facebook.com/chestercthistoricalsociety. AREAWIDE — Listen to the magic of Mozart when Cappella Cantorum MasterWorks Chorus presents a Mozart Celebration on Sunday, April 10, at 3 p.m., in John Winthrop Middle School in Deep River. 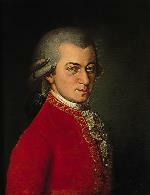 Mozart’s Requiem, Regina Coeli and Ave Verum are the featured choral works. Featured soloists singing with the professional Cappella Cantorum Chamber Orchestra will be: Patricia Schuman, soprano; Heather Petrie, contralto; Daniel Juárez, tenor; and Christopher Grundy, baritone. Internationally acclaimed Patricia Schuman, soprano, has performed with Cappella Cantorum MasterWorks Chorus, most recently with the production of Fauré Requiem and Schubert Mass in G.
Hailed as a true contralto, Heather Petrie is becoming a familiar voice throughout the Northeast. She has performed with Cappella Cantorum MasterWorks Chorus, most recently with the production of Bach Magnificat and Vivaldi Gloria. Praised as a rising star who brings eloquence and musicality to a performance, Christopher Grundy, baritone, has given frequent recitals across the United States of repertoire spanning seven centuries. 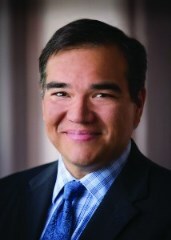 A leading resident tenor of the CT Lyric Opera, Daniel Juárez’s operatic credits include Erik in Wagner’s Der Fligende Hollander, Don José in Bizet’s Carmen and other leading tenor roles in many opera programs. Tickets are $30 (free for age 18 and under), from CappellaCantorum.org or by calling 860-388-2871. A reception follows the performance. 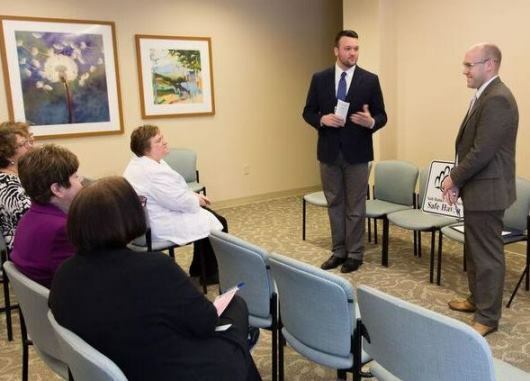 State Representatives Devin Carney (pictured right) and Jesse MacLachlan (left) held a press conference on April 4 at Middlesex Hospital, Shoreline Medical Center in Westbrook to promote and discuss Safe Haven Day. Last year, lawmakers designated April 4 of each year to be observed as Safe Haven Day to foster awareness of safe havens in Connecticut. The Safe Havens law, which passed in 2000, enables a distressed parent to anonymously leave an infant at a hospital emergency room without fear of prosecution for abandonment, up to 30 days after birth. Carney (R-23) can be reached at devin.carney@housegop.ct.gov or (800) 842-1423 and MacLachlan (R-35) can be reached at jesse.maclachlan@housegop.ct.gov or at (800) 842-1423. On Tuesday, June 7, the Connecticut River Museum will offer the third in a series of talks related to the museum’s current exhibit on invasive species Invaders: They Come by Air, Land and Water. This event will focus on edible invasive plants, and will be presented by the family known as ‘the Three Foragers’- Robert Gergulics, Karen Monger and Gillian Gergulics. The family has been blogging about their wild food adventures in Connecticut for nearly ten years, sharing their photos and recipes online. 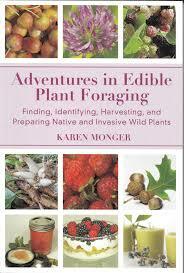 Their new book, Adventures in Edible Plant Foraging: Finding, Identifying, Harvesting, and Preparing Native and Invasive Plants, will be available at the program. They were recently profiled in the March/April 2016 issue of Yankee magazine for their family-friendly foraging and educational philosophy. Help raise awareness and learn how to help combat the spread of invasive species one bite at a time! Registration strongly recommended, please call 860-767-8269 to reserve a seat. This event is free for museum members, and $5 for nonmembers. The program begins at 5:30 p.m. Invaders: They Come by Air, Land, and Water will be on display through October 10 at the Connecticut River Museum. An interactive exhibit featuring artwork by Michael DiGiorgio and a videography by WFSB, Invaders aims to educate and entertain while showing the impact that invasive species have had and are still having on our region. The Connecticut River Museum is open 10 a.m. – 5 p.m. daily through Columbus Day and is closed Mondays during the winter. Three floors of exhibits offer visitors an insight into the history and ecology of New England’s Great River through artifacts and interactive displays, while schooner cruises and kayak rentals allow visitors a chance to get out on the river themselves. WESTBROOK – Vista Life Innovations, a nationally accredited community-based education program for individuals with disabilities, is hosting an Open House on Saturday, April 9, from 10 a.m. to 1 p.m. Prospective students, families, school district officials and educational consultants are invited to drop by Vista’s Westbrook Campus, at 1356 Old Clinton Road, to learn about the many programs and services Vista has to offer. Guests will have the opportunity to tour Vista’s dormitory and residence hall, meet Vista staff, and speak with current students and members about their experiences in the program. Open houses have been an important first step in the admissions process for many current Vista students and their families. To register for this event, visit www.vistalifeinnovations.org/openhouse or contact the admissions office at (860) 399-8080 ext. 106. Guests are asked to register by Tuesday, April 5. Vista has been providing services and resources to assist individuals with disabilities achieve personal success for over 26 years. Accredited by the National Commission for the Accreditation of Special Education Services (NCASES), Vista has campuses in Westbrook, Madison and Guilford. Its population is comprised of individuals with autism spectrum disorder, learning disabilities, seizure disorders, traumatic brain injuries, intellectual disabilities and ADHD. 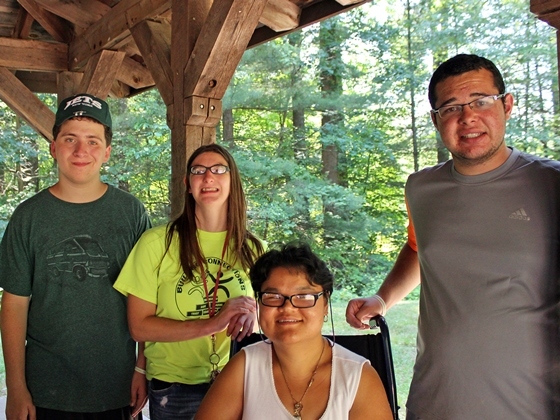 In 2015, Vista provided services to more than 300 individuals and their families. For more information, visit www.vistalifeinnovations.org. This winter four of his plays appeared on the Paris stages: two short one-act plays (“The Swan” and “The Bear”) at the Studio de la Comédie Française, “Three Sisters” at theTheatre de la Colline and “The Cherry Orchard” at the Theatre de l’Ile Saint Louis-Paul Rey. I chose the latter. The first time I saw a play by Chekhov was at the Moscow Art Theater (MXAT) in downtown Moscow in the mid 1960s. The production and the reception by the public were electric. In those days, theater was the only possible evasion from a drab and controlled life for Soviet citizens. The audience knew by heart and relished every single line beautifully spoken by the adulated actors. Period clothes, settings and furnishing provided an authentic reconstitution of life in a run-down country estate. What is amazing is that Anton Chekhov’s plays, written under the Tsarist regime, lasted through the Soviet era, although he depicted members of the idle bourgeoisie, about to disappear from the surface of the earth. Other playwrights were not so lucky. Some of the controversial plays – Bulgakov’s for instance – did not make it through censorship and were suddenly removed from Moscow stages. Chekhov’s universal message explains why his plays still attract huge audiences around the world — in different languages and re-adapted by directors. His “inward-looking” realism came from a traditional line of dramatic art founded by Constantin Stanislavsky (1863-1938), one of the greatest founders of theater staging and philosophy of all times. 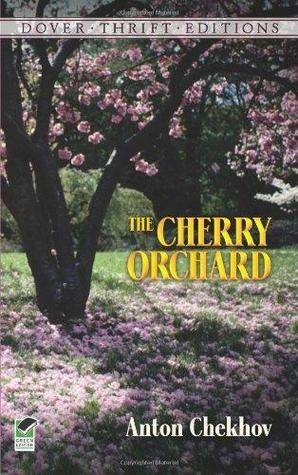 ‘The Cherry Orchard,’ created at MXAT in January, 1904, was Chekhov’s last play. Six months later he died in his Yalta “white house.” Obliged to live far away from Moscow, in the warmer climate of the Crimea because of his tuberculosis, it was hard for him to give long-distance stage directions to his high-spirited wife, actress Olga Knipper. In the play, Liubov Andreevna Ranevskaya, her daughter Ania, age 17, and adopted daughter Varia, age 30, just returned to Russia from five years spent in France. The family was crippled with debts and the creditors were forcing the sale. A retinue of servants, some of them providing a light touch of vaudeville, and penniless hangers-on, are part of the large household. The main character is Ermolai Alekseevich Lopakhin, full of energy, ideas, and, apparently money. He is trying to convince Liubov Andreevna to sell the estate with the cherry orchard to a developer who will build small houses for vacationers. But she is not interested in money; if things do not work out, she will return to Paris and live off an inheritance. Lopakhin was a slave or “soul” owned by the Liubov’s family. 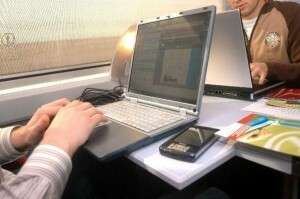 This former muzhik is now rich and ambitious. His antithesis is Petr Sergueevich Trofimov, the eternal student who lives in a world of noble ideas, philosophy and poetry. He tells Lopakhin, “Soon you will be a millionaire. Sharks are needed also.” Such archetypes exist in many countries. The Theater of Ile St Louis is the smallest theater in Paris with only 50 seats. The full cast of 12 characters barely fitted on the tiny stage and looked like giants. The set was limited to two benches and the period clothes to the slim laced-up boots of the women. When, at the end of the play, the spectators heard the chain saw felling the cherry trees and noticed the very old servant forgotten in the locked-up house, the emotion was intense. I went on feeling that emotion while walking along the rushing grey waters of the Seine river. ESSEX — Bushnell Access maximum storage capacity of 75 small vessels has been reached. Applications received from this point forward will be placed on a wait list and checks will be returned to the applicants. Bushnell Access is still open to use for those who wish to bring their craft for the day and take it away at the end of the day. Should it be determined that additional vessels can be accommodated at some point during the season, which runs from April 1 to Nov. 30, additional permits may be issued. Direct any inquiries to the Harbor Management Commission email address at HarborManagementCommission@EssexCT.gov. The series continues Wednesday, April 6, at 5 p.m., when Christine Palm from the CT General Assembly’s Permanent Commission on the Status of Women will speak about the pressing issues facing women in our state currently. More events will be included in the months to come. Call the Essex Library at 860-767-1560 to register or for more information. All of these programs are free and open to the public and advance registration is suggested. The Essex Library is located at 33 West Avenue in Essex. 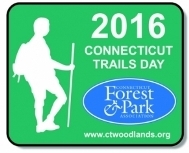 CHESTER – On the weekend of June 4 and 5, Connecticut is set to host Connecticut Trails Day — the largest National Trails Day (NTD) celebration in the nation with 200-plus free events scheduled statewide. This annual celebration features activities for everyone, including hiking, biking, horseback riding, running, trail maintenance, kayaking, educational walks, bird watching, letterboxing, and more. These events are guided by knowledgeable volunteers from local hiking clubs, parks and recreation departments, state agencies, conservation organizations, historic groups, education programs and land trusts. In Chester, join leaders Rob Butterworth and Melissa Evarts on Saturday, June 4, from 9 a.m. to 12:30 p.m. at the Pattaconk Reservoir Recreation area in Cockaponset State Forest (S.F.) for an outdoor adventure sponsored by the Bridle Path Conservancy, the Connecticut Forest and Park Association, the Lower Connecticut River Valley Horsemen’s Club(LCRVHC) and the New England Mountain Biking Association’s Central Connecticut Chapter. Come and help celebrate the 10th anniversary “Combined Arms” event. For a decade now, trail volunteers of all type have been coming together to make the Cockaponset S.F. trails better for all. This year’s event will be the kickoff to restoring the yellow trail in the Pattaconk Reservoir section of the state forest. Projects will include painting blazes, trimming back brush and building a new section of trail. Work party attendees will be treated to a cook-out, courtesy of the LCRVHC, and a raffle. This is a volunteer-led event in conjunction with the Connecticut Department of Energy and Environmental Protection. Bring clothing, food, water and bug spray suitable for a day out in the woods. Bring loppers if you have them, but tools will be provided. Preregistration is requested, but not required (it helps with planning for food and tools). Minors must be accompanied by a parent or guardian. 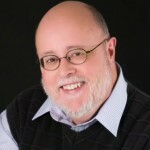 OLD SAYBROOK – James Kuslan, opera devotee and popular dynamic speaker on operatic topics, will present a lecture entitled “Operatic Disasters” on Saturday, June 4, at 11 a.m. at the Acton Public Library. This event is sponsored by the library and the Guild of Salt Marsh Opera. Kuslan graduated with an MFA from the Yale School of Drama. 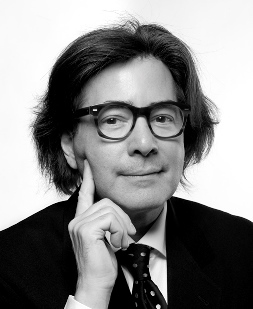 He has consulted for the German classical music recording giant, Deutsche Grammophon. “Operatic Disasters” at the Acton Public Library is free, open to the public and handicapped accessible. For additional information, call 860-388-2871. 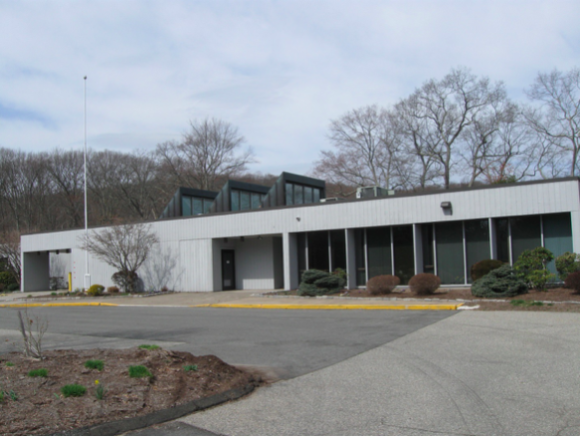 The Acton Library is at 60 Old Boston Post Road, Old Saybrook. See this beautiful private garden in Essex on June 4. 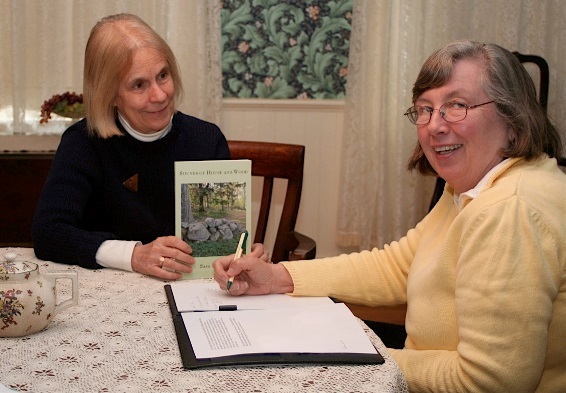 The garden tour is sponsored by the Friends of the Essex Library. Tickets are $25 in advance and $30 at the Essex Library the day of the event. Cash, checks, Visa or Master Card will be accepted. Tickets can be reserved by visiting the library or by completing the form included in flyers available at the library and throughout Essex beginning May 2. Completed forms can be mailed to the library. Confirmations will be sent to the email addresses on the completed forms. Your ticket will be a booklet containing a brief description of each garden along with a map of the tour and designated parking. 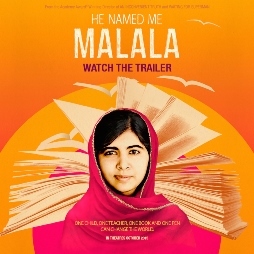 Tickets must be picked up at the library beginning at 9:45 a.m. the day of the event. The tour will take place rain or shine. For more information, please call 860-767-1560. All proceeds will benefit Friends of the Essex Library. DEEP RIVER – Sara Ingram will act out stories and poems from her published book, Sounds of House and Wood, on Thursday, June 2, at 7 p.m. in the Carriage House of the Deep River Historical Society. Many of Sara’s poems recount her early life growing up in Deep River where her grandmother and mother were the Deep River librarians for a combined total of 50 years. 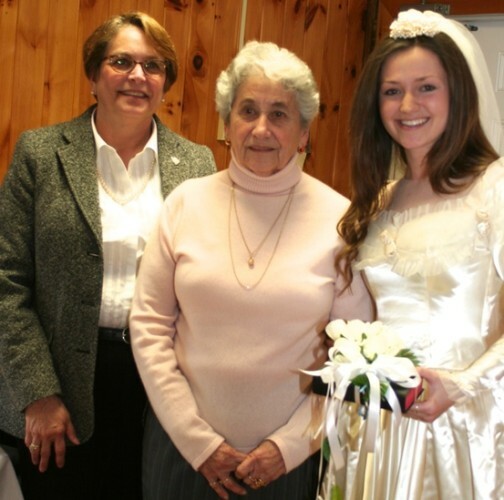 Sara’s father was an early member of the Deep River Historical Society and the driving force in renovating the Carriage House to be used for local events. Sara has worn many hats as editor, dancer and teacher. 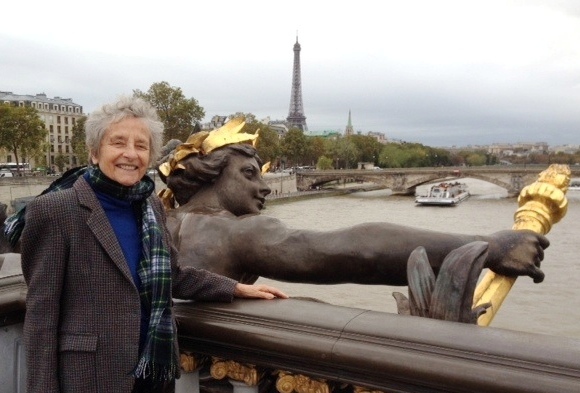 She has been involved with literature and arts-related pursuits for many years. 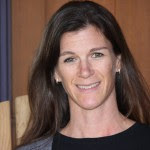 She is a certified teacher and has been an instructor of the gifted in Connecticut public schools for over 25 years. This free event, sponsored by the Deep River Historical Society, is open to the general public also. Light refreshments will be served. Anyone interested in purchasing Sara’s book can have it personally signed by her at the event. Sounds of House and Wood, published by Antrim House, 2013, celebrates the essence of New England – nature, discovery, family and the four seasons. Please join in an enjoyable and entertaining evening. 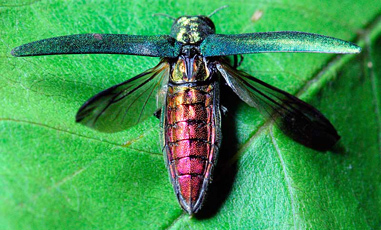 The Connecticut Agricultural Experiment Station (CAES) is advising all residents of Connecticut that the emerald ash borer (EAB – agrilus planipennis) has quickly spread throughout Connecticut, making it now part of the federal EAB quarantine. Residents should be aware of this invasive insect and the threat it poses to all ash trees in our community. The emerald ash borer is a beetle in the buprestid family that is native to Asia. First discovered in 2002 in Detroit, it has rapidly spread across the US. It may have first been introduced via wood-packing materials and continued spreading by humans in everything from firewood to rustic crafts. Because the beetle is a strong flier, it can spread on its own as well. CAES describes the adult beetle as metallic green, about ½ inch long. It feeds exclusively on ash trees in the genus Fraxinus. 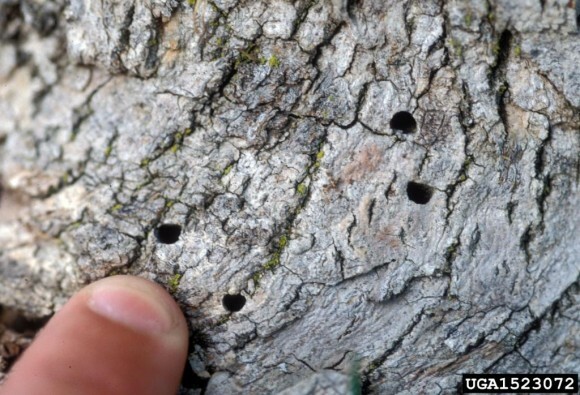 Tiny, flat, round 1mm long eggs are laid in the bark crevices. Seven to 10 days later, the eggs hatch and the young larvae begin to feed on the tree’s conducting tissues. As they feed and grow, the larvae create distinctive tightly-winding ‘serpentine galleries.’ This process quickly stresses and girdles the ash tree. 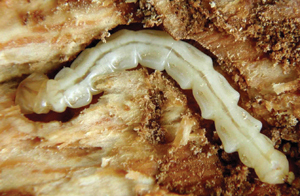 During the winter the mature larvae remain in a pupal chamber and pupate in the spring. The adult beetles emerge by chewing a distinctive 4mm wide D-shaped exit hole. The adults feed on the margins of the ash foliage prior to mating. The lifespan is 4-5 weeks, during which time a single female may lay upwards of 60 eggs. It has been difficult to survey for this pest because of its small size. Some monitoring and trapping methods have been used including purple panel traps. Another is “biosurveillance” by scientists and volunteers who monitor the nests of a native wasp that specifically hunts buprestids, including EAB. The overall effect of the ash borer is the decline of the ash trees. Infected trees are attacked by woodpeckers who strip bark while trying to reach the larvae. The eventual loss of ash trees will have ripple effects on other organisms including butterflies and moths as well as wood duck, bob white, purple finch, pine grosbeak and fox squirrels all of which eat the seeds of the ash tree. To identify an ash tree look for compound leaves and opposite branching. Ash trees have diamond patterned bark which provides distinct crevices. 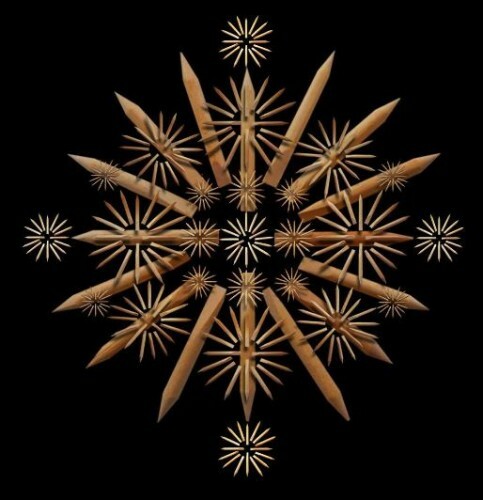 Ash seeds are winged, resembling maple pinwheels. Ash trees do not produce berries. The ash tree is valued for its combination of strength and flexibility. It is used as shovel handles, baseball bats and in construction of guitar bodies. According to the Connecticut Department of Energy and Environmental Protection, Connecticut is seeking to slow the spread of EAB by a quarantine to keep any infested ash materials from leaving Ct. and going to an area that is not infested. The quarantine targets ash logs, hardwood firewood, yard waste and ash nursery stock. Also, a ban on the importation of firewood into Ct. through New York or Massachusetts – unless it is properly certified as not coming from an infested area – has been instituted. Know what an ash tree looks like and monitor the ash trees you are responsible for. Act quickly to report any ash trees that are declining and may pose a threat to people or structures. Be careful when moving firewood or young trees. Use locally obtained firewood. Notify the Tree Warden of concerns about street or park trees. Private trees are the responsibility of the property owner. DEEP encourages owners of ash trees to contact an arborist for further help in monitoring the status of your trees and to use the resources available at the CT Agricultural Experiment Station and DEEP. According to the CAES, ash trees that are still healthy can be treated for and protected against EAB using commercially available pesticides. Ash trees that are not treated will eventually die and should be preemptively removed. Please contact your local arborist for expert advice. The above information has been provided by the Connecticut Agricultural Experiment Station and the Department of Energy & Environmental Protection. For more information go to the following websites: www.emeraldashborer.info or www.ct.gov/deep or www.ct.gov/caes. Contact Augie Pampel, Essex Tree Warden at: augiepampel@att.net with any questions or concerns. Niantic Toastmasters will hold an Open House on Monday, April 18, from 7 to 8:30 p.m. at Niantic Community Church, 170 Pennsylvania Ave., Niantic. The club will be presenting a One Act play titled, “To Toast or Not Toast.” Written by a club member and performed by club members, it shows what it’s like to be in a Toastmasters club. Afterwards there will be a facilitated discussion to answer any questions audience members may have, followed by a cast party with the players and refreshments. This is a free event. Toastmasters clubs give people a space to become confident communicators and learn the art of public speaking by doing it. Twice a month, club members meet to deliver prepared or impromptu speeches, and work on aspects of public speaking such as body language or vocal variety. Toastmasters clubs provide a safe environment for people who have something to say but might not have the confidence. Members also learn how to give feedback to energize others to do better the next time. OLD SAYBROOK — Maureen Tarbox, a resident of East Haddam, will be exhibiting her paintings at Marshview Gallery in Old Saybrook in June. Tarbox moved to Connecticut in 2002 when she retired from teaching science. 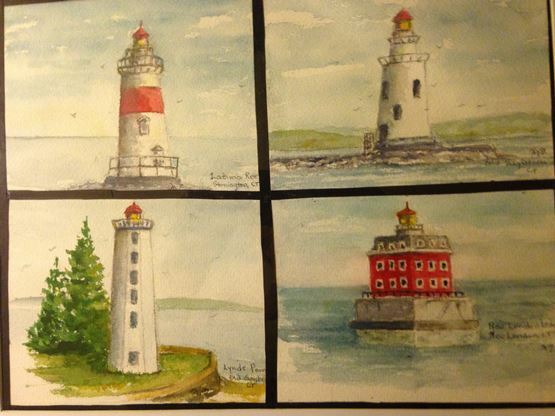 She began plein air painting because of the extraordinary light, beautiful scenery and many opportunities to attend art workshops and classes in southeast CT. She paints with a group called The Brushstrokes, who all share the love of nature and desire to try and recreate on canvas the beauty that surrounds us . For the past 10 years she has developed her oil painting style under the guidance of Noel Belton and other talented instructors. 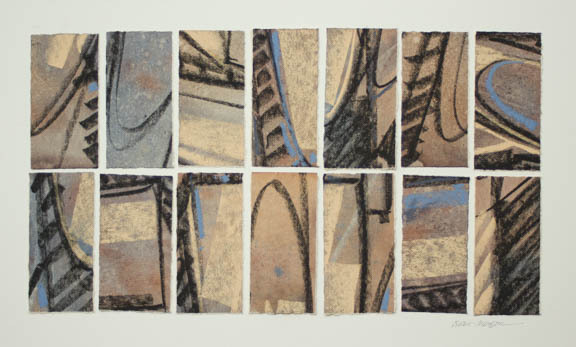 She is currently a member of the Essex Art Association, the Middlesex Art Guild, Brushstrokes and the Connecticut River Watercolorists. Tarbox loves to paint landscapes, seascapes, old buildings and anything with water. She loves the proximity to the many beaches, woods and historical towns. All are welcome to attend the artist reception on Friday, June 10, from 5 to 7 p.m. and meet the artist. Refreshments will be provided. Marshview Gallery is located in the Estuary Center, 220 Main St., Old Saybrook.